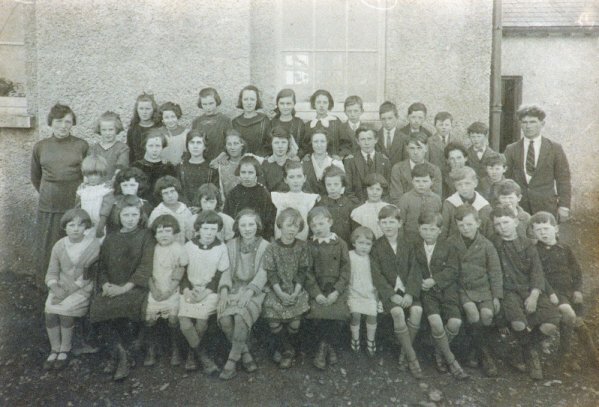 Ballybran national School, 1928 with headmaster Pakie Lynch in on the right. Ballybran National School was situated in the village of Ogonnelloe. The registers were transcribed by Brian Doyle and Peter Beirne of Clare County Library's Local Studies Centre. Clare County Library is grateful to school principal Marie Roberts and the school’s board of management for their assistance in making these registers available.